I hope that you have all enjoyed a safe and relaxing summer. 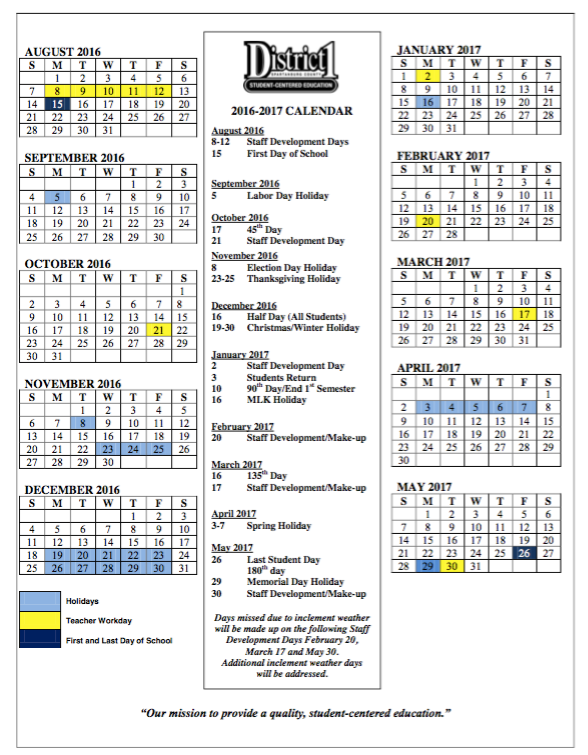 We have been busy here in the district preparing to make the 2016-2017 school year the best yet. The custodial, maintenance, and technology staff have been working extremely hard to accomplish a multitude of tasks to prepare the buildings for our students’ return in a few short days. Cleaning of classrooms, scrubbing and waxing of floors, and cleaning and updating technology equipment are just a few of the tasks that have been accomplished over the summer months. 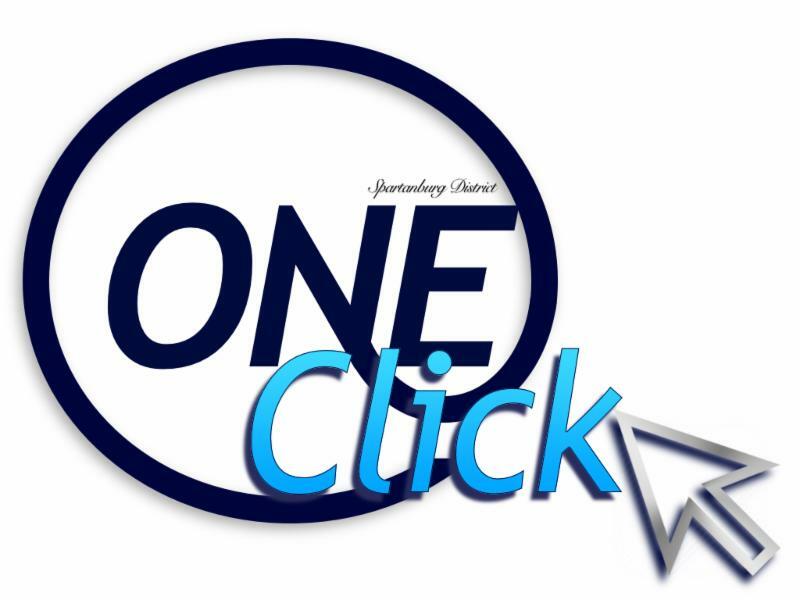 I am excited to announce the launch of our first e-newsletter: One Click. This newsletter will be published monthly and will help keep you informed of the exciting news and accomplishments of our students, schools, and district. I invite you to connect with us in the upcoming school year by subscribing to our newsletter, engaging with us through social media, and visiting our district and school websites. Have a healthy, safe and relaxing rest of the summer and we will see you soon! 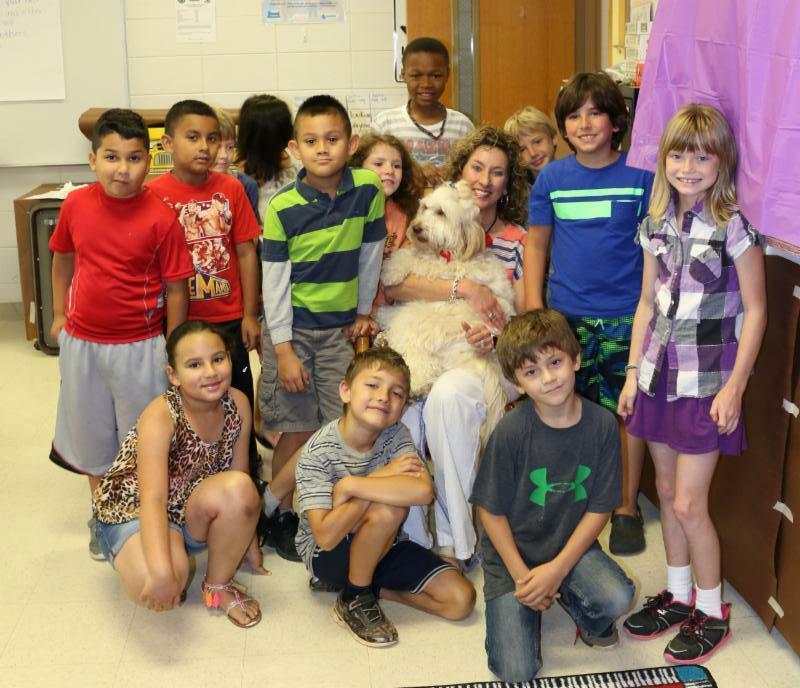 The classrooms of Campobello-Gramling School were buzzing this summer with rising 3rd and 4th grade students from across the district for the Read to Succeed Summer Reading Institute. As a component of the Read to Succeed Act, District One held a six week summer reading camp for identified students across the district in an effort to increase literacy skills. Students received small group and individual instruction from highly qualified teachers who have experience in working with struggling readers. 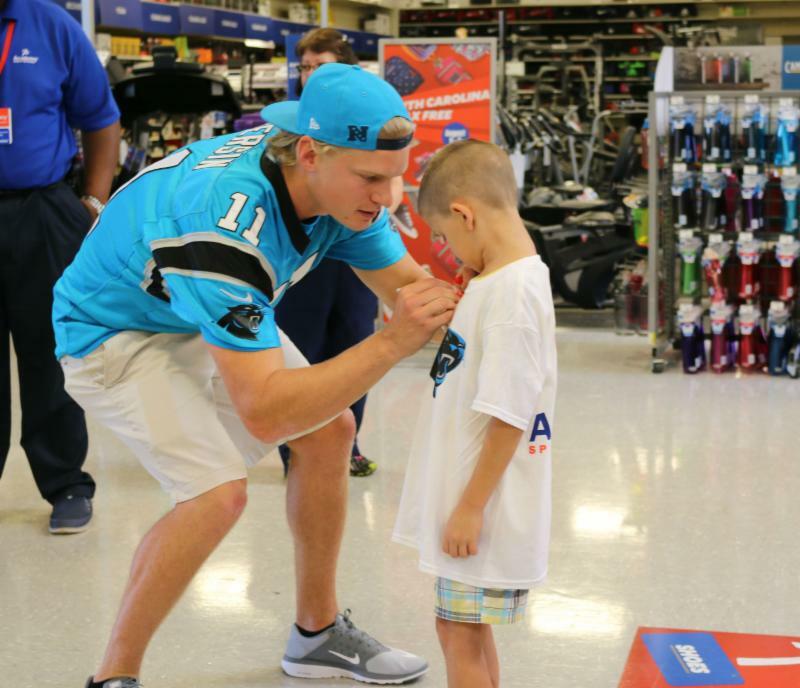 This unique camp experience allowed students consistent opportunities to read, write, and engage in literacy activities throughout the entire summer. Daily hands-on activities in the STEAM lab gave students a multi-faceted experience that allowed them to design and create projects based on the books they studied throughout the weeks. Animal habitats, lego water cycle creations and windsocks were just a few of the students’ favorite STEAM projects. Students participated in a “Book Bonanza” that allowed them the opportunity to select up to ten books that they could keep and use to build their own home library. 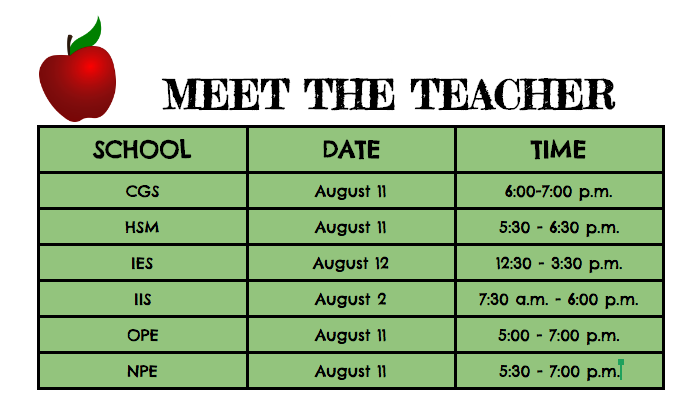 “Our students have had a wonderful summer making new friends from across the district and learning together. Allowing students the opportunity to choose books that they are interested in to read and take home, creates a love of reading and learning,” says Jenny Edwards, director of this year’s Summer Reading Institute. The summer reading camp concluded with a pizza party celebration where students shared their reading, writing, research, and STEAM projects with their families. 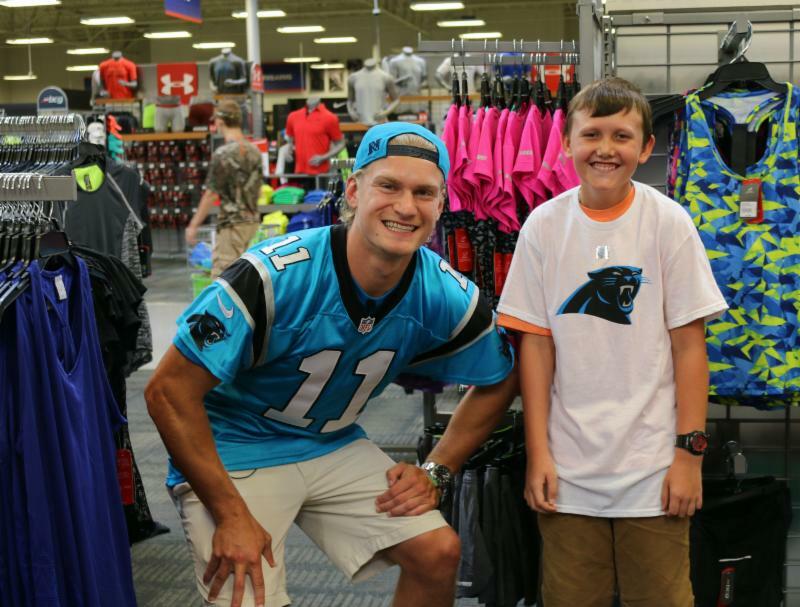 On July 26th, four lucky District One students received a once in a lifetime shopping spree at Academy Sports + Outdoors with the Carolina Panthers. 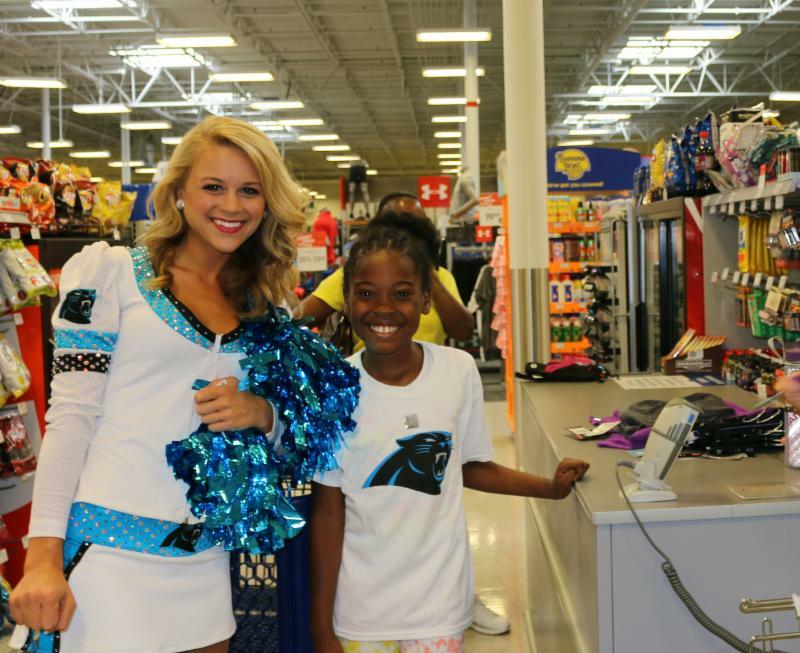 Selected students from across Spartanburg County were able to shop for back to school items with the help of Carolina Panthers #11 Brenton Bersin, TopCat cheerleaders, and Panthers mascot, Sir Purr. 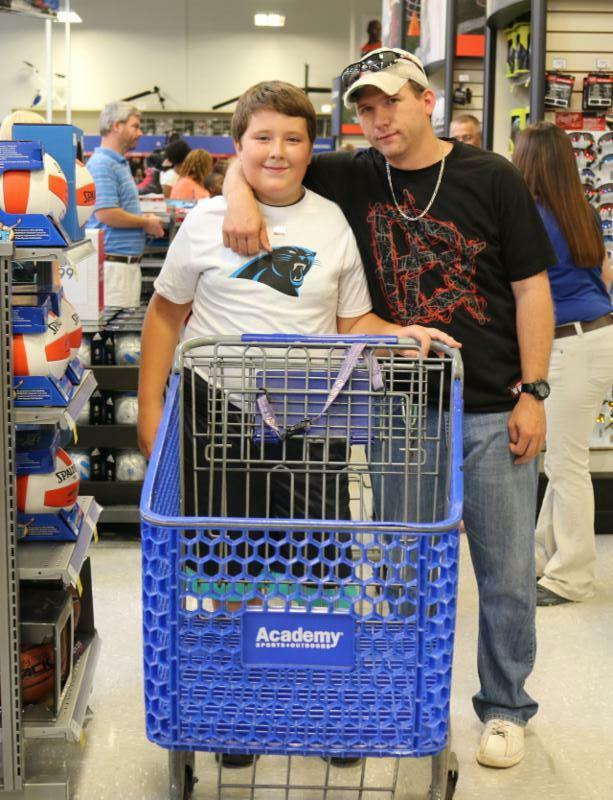 Academy donated $200 gift cards to each child to spend on new backpacks, shoes, school and athletic apparel, and other items for the new school year. BIG NEWS! You can now follow the latest happenings in District One on the official District One Facebook page! As a follower or “Fan” of our Page, you will be able to communicate with us, and with others who are following as well. 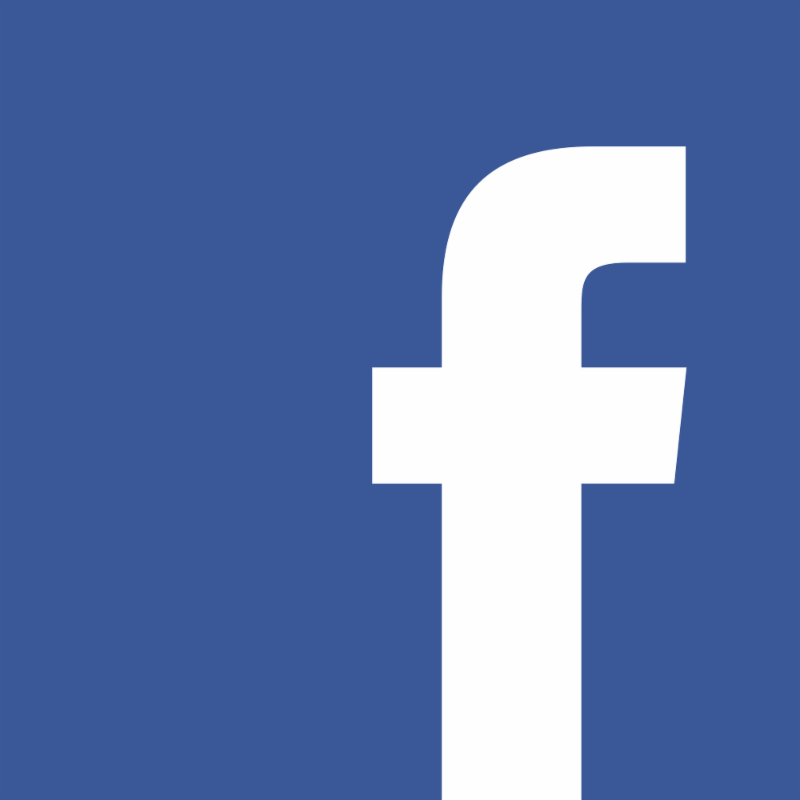 We will use our page to connect with families and community members by sharing photos, making announcements, advertising upcoming events and more! To follow us, simply click HERE ; then click "Like" at the top of the page! 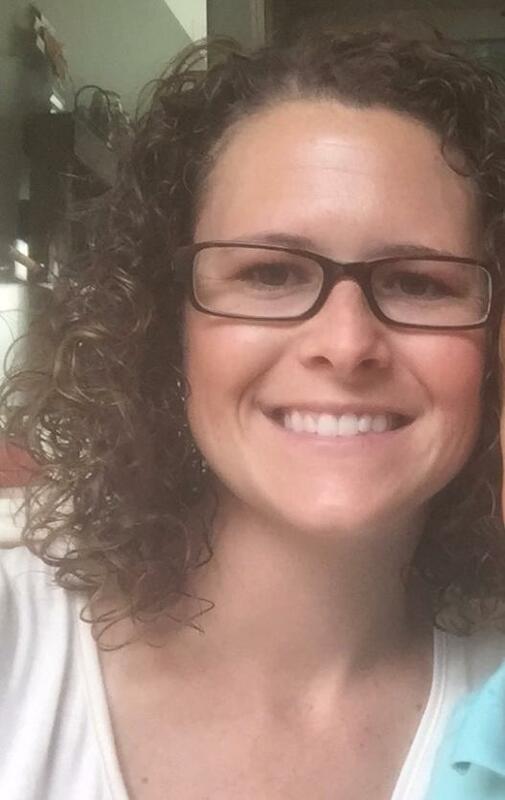 Julia Sullivan, a teacher at Holly Springs-Motlow Elementary School, was recently awarded an Engineering is Elementary scholarship and will be traveling to Boston, MA this fall to attend a hands-on professional development (PD) workshop at the Museum of Science. The Museum of Science, Boston selected 82 educators from 24 states to receive scholarships under a new program that brings high-quality professional development in STEM (science, technology, engineering, and math) to teachers at high-needs schools nationwide. The program helps scholarship recipients integrate engineering in their classrooms using the award-winning Engineering is Elementary® curriculum, which was developed at the National Center for Technological Literacy (NCTL). "I am so excited to be collaborating with teachers from other states, as well as engineering and science professionals, as we participate in the "Engineering is Everywhere" workshop at the Museum of Science, Boston. 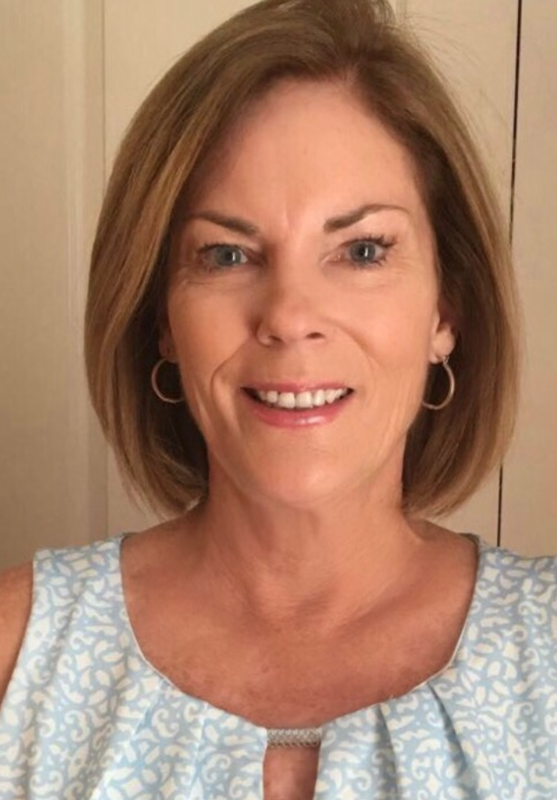 I look forward to sharing what I learn with District One faculty and staff,” says Sullivan. Ms. Sullivan was selected through a highly competitive process, with nearly 450 educators from across the country applying for the awards. As a scholarship recipient, she will receive a complete classroom set of EiE curriculum materials plus tuition and travel support to attend a two-day PD workshop at the Museum of Science, Boston sometime within the next 12 months. 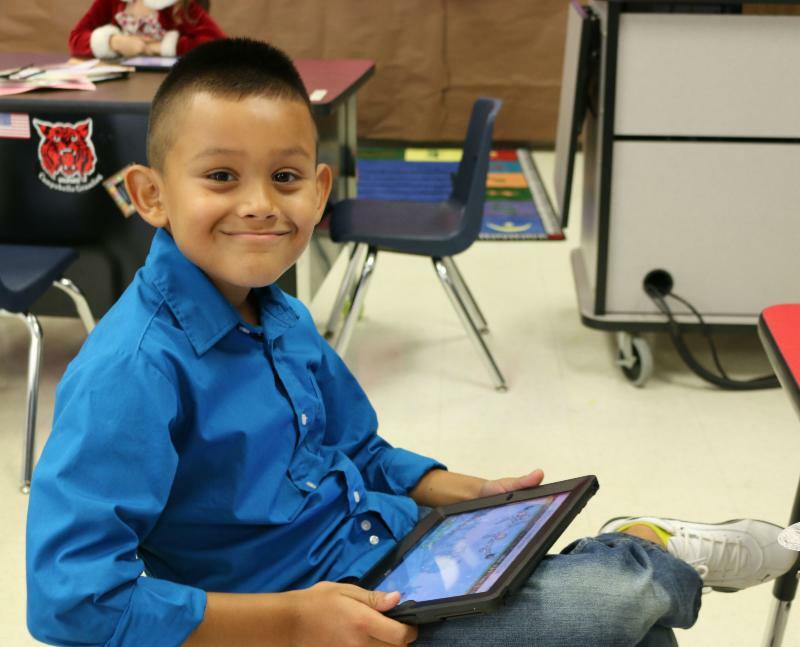 The EiE scholarship program receives no outside funding from corporate, foundation, or government funders, embodying the NCTL mission to introduce engineering and technological literacy in schools and lifelong learning centers nationwide. Engineering is Elementary is a nationally disseminated, award-winning STEM curriculum that integrates engineering with science, math, literacy and social studies and helps schools meet state and national science standards. Mabry Middle School is being recognized for its efforts to make the community of Inman, SC a healthier place to live, work, and play! Eat Smart Move More South Carolina (ESMMSC) and the South Carolina Department of Health Environmental Control (DHEC) has selected Mabry Middle School in Spartanburg District One as a South Carolina Open Community Use Champion! To support its efforts, ESMMSC and DHEC are providing Mabry Middle with a customized outdoor sign for a recreational facility that is open to the community before or after school. Open community use, allowing free community access to schools’ outdoor recreational facilities, is an effective and affordable strategy to combating obesity and increasing physical activity. Mabry Middle is at the center of Inman, which makes it a convenient place for the public to use for their physical activity needs. The local community is welcome to use the school’s track, the Inman Trail, the practice fields, and other open spaces at their convenience. Unless the outdoor facilities are being used by the school or recreational district, they are always made available for the public to use. In fact, many walkers can be spotted taking advantage of the track and Inman Trail during school hours. Mabry Middle School often hosts community events on their grounds, including the Color Fun Run and Relay for Life, taking advantage of opportunities to showcase the outdoor facilities that are available at the school. The school has shared responsibilities with the City for maintenance; however, most of the grounds preservation is taken care of by the school. 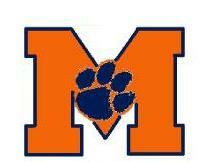 Mabry Middle School’s open community use is made possible through a team effort. Open community use is not only a valuable asset to Mabry Middle School, but also to the entire City of Inman. See the Herald Journal article HERE! Ashley Belue was recently recognized by the South Carolina Department of Education’s Office of Career and Technology Education (CATE) as the recipient of the 2016 “I AM CATE Award”. This award is presented to four students, one from each major region in South Carolina, who graduated as CATE completers and who have made significant contributions in a field of study or career related to CATE. Nominated by her peers and administration, Belue said that receiving this award was an honor and unexpected surprise. “I believe in what we do at Swofford. The students have a huge opportunity that they can take advantage of by attending SCC. 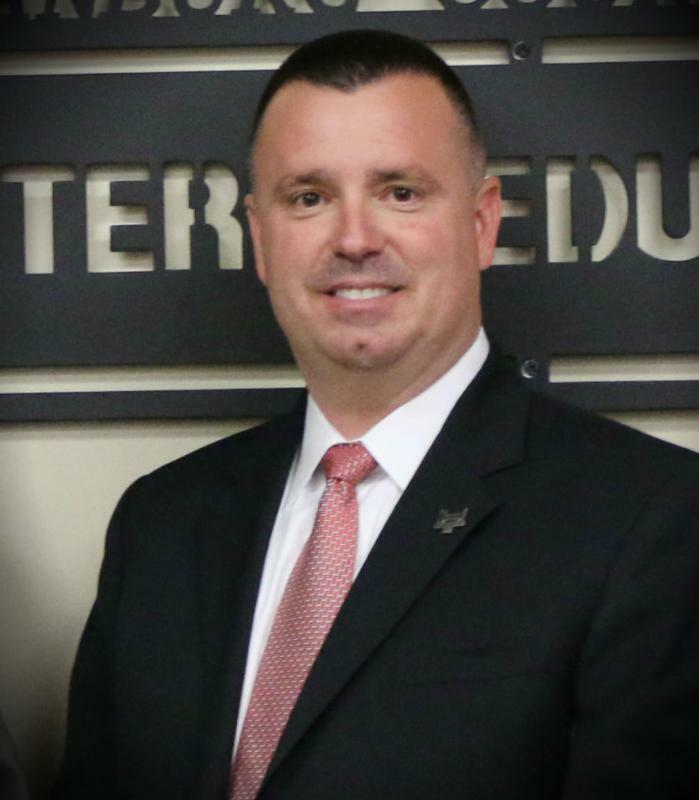 I am a testimony of how attending Swofford helps students excel in the career he or she is interested in,” said Belue. Belue is a 2003 graduate of Chesnee High School and attended Swofford Career Center from 2000-2003 where she studied health science. She graduated from USC-Upstate in 2006 with a Bachelors of Science in Nursing degree and worked at Spartanburg Regional before becoming an adjunct clinical instructor for the CNA class at Swofford Career Center. She is entering her fifth year as an instructor at Swofford Career Center and is currently pursuing her Master’s of Science in Nursing degree with a concentration in Education. Belue maintains her employment with Spartanburg Regional on an as needed basis. 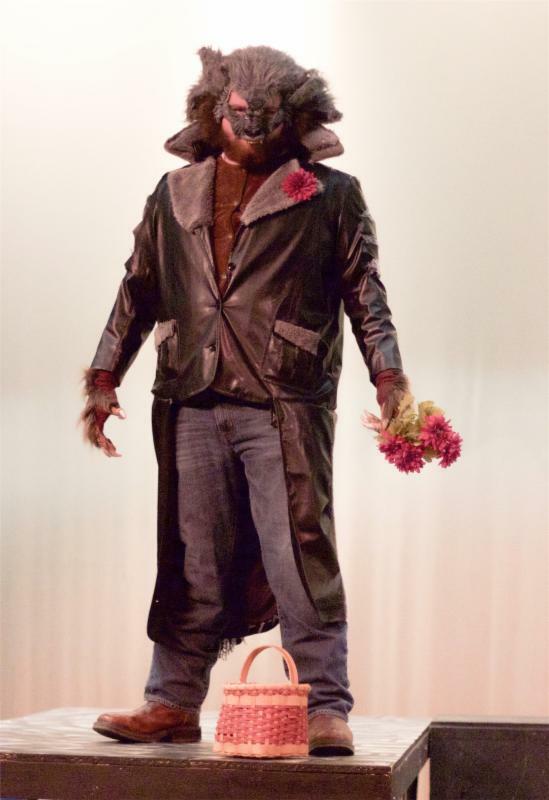 District One was recently informed by State Superintendent of Education, Molly Spearman and the SCDE that New Prospect Elementary School, Inman Intermediate School and Holly-Springs Motlow have been awarded Distinguished Arts Program grants. 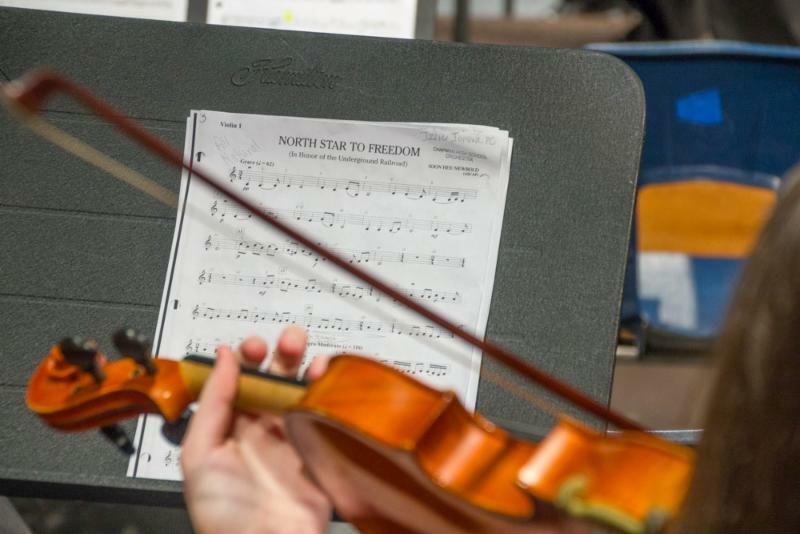 The arts teachers at these sites put significant time and energy into supporting quality arts education programs that significantly improve student achievement, as well as student growth in the arts. Each school will receive $12, 600, for a district total of $37,800. In addition to their school allocations, $5,400 has been allocated to each school for professional development opportunities at the SCDE Summer Arts Institute being held throughout the summer months. 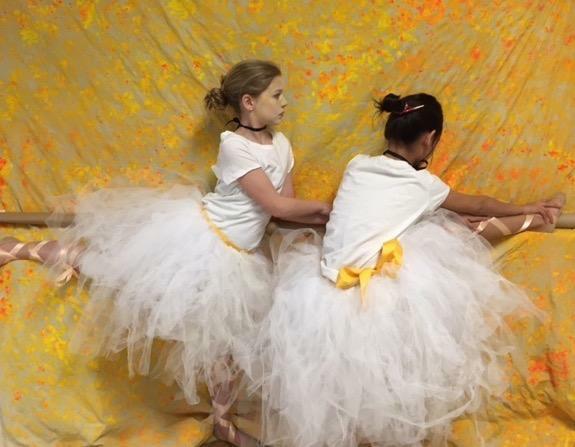 Funding from these grants will enable the receiving schools to write a comprehensive strategic arts plan that includes dance, media arts, music, theatre, and visual arts. Each school will use this additional funding in unique ways including bringing in Artists in Residence, creating performance venues, and supplying additional arts materials and supplies. Through these grants, students will have expanded opportunities within the arts discipline that they would not ordinarily receive in the standard Arts curriculum.